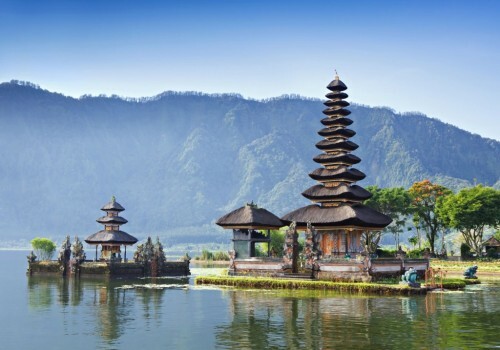 Cheap flights to Indonesia: Jakarta for only €422! If you want to visit Indonesia for good price or discover amazing Bali you can now book cheap tickets. 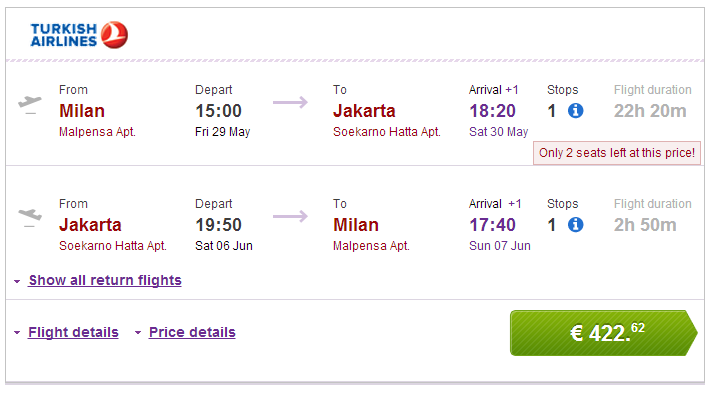 Return flights from Milan to Jakarta will cost you only €422! This flight is operated by best airline in Europe, Turkish Airlines with stopover in Istanbul. 20 kg luggage is included in the ticket. Return ticket from Jakarta to Denpasar (Bali) will cost you around €100. Book your ticket through Vayama for the best price or directly via Turkish Airlines for €435. Jakarta offers all kinds of accommodation from cheap hostels for budget travellers to super luxurious suites in 5 star hotels for really good prices starting at few Euros per night. « WOW! Crazy cheap flights to Brazil: Sao Paulo & Rio for €235!